Campaign for a Commercial-Free Childhood: Why do you "bother" living commercial-free? Why do you "bother" living commercial-free? This post was written by guest blogger Brandy King of Knowledge Linking. After spending the last eight years working with research on children and media, Brandy now faces the challenge of raising two young boys in our media-saturated and commercialized world. After writing about my small victory over a Thomas the Tank Engine backpack last month, I got a lot of responses from other parents who are also trying to live commercial-free. But the other response I got was curiosity about "why I bother." My main reasons are below; what are yours? Why do I bother trying to limit commercialized items in our family? Creativity now trumps integrity and global thinking in being considered the most important leadership quality. And the recent death of visionary Steve Jobs brought to light how integral creativity was to his success in revolutionizing modern communication. I want my children to have constant practice creating amazing stories and environments from scratch. I want them to learn for themselves that necessity is the mother of invention. I want them to rely on their own ambition to navigate through life rather than waiting for someone else to tell them what to do. And I believe that limiting the pre-defined personalities and scripts inherent in licensed characters helps them toward these ends. Why do I bother writing about this experience? Resisting commercial culture is a constant battle, and in fact, I think "commercial-free" is too generous a term for what I'm doing. My reality is more like "commercialism in moderation". Yes, I resisted that Thomas backpack, but I caved on the Thomas toothbrush to try to bring more motivation to dental hygiene. And while I have not purchased any toys with media tie-ins, I have let him keep some of the toys he has received as gifts. Is this hypocritical? Some may say yes. But in my mind, I can only do so much, and I feel that the effort I've put forth has already made a difference. For example, after getting his hands on a toy catalog, I was sure my 3 year old would start asking for things. Boy was I thrilled when he excitedly pointed to a toy and said "Mama, I bet we could make something like this!" Parenting is not easy and most people do not want to add the additional challenge of living commercial-free in a media-saturated world. But you and I think it's a challenge worth the effort. I write about these experiences because it helps me identify where I've succeeded and where I am still being challenged. I write about these experiences because I want to hear from other parents who've stayed the course: What strategies have worked? Where have you given in? Did it make a difference? Was it worth the effort? I invite you to comment below -- Let's keep the discussion going so that the sum of our ideas benefits all of our children. Brandy, I love this. Thank you. I have struggled to articulate to others why I don't by media-branded toys (or cups/plates/diapers/backpacks) because I'm afraid of sounding crazy/neurotic/paranoid. You put it so well, and so simply. Sarah I'm so glad you think so, it is definitely hard to put into words sometimes! I gave this a lot of reflection before I decided on a way I could explain it. Love hearing from other parents about what they say too! As always, you insight is spot-on and your eloquence is much-appreciated. Thank you for taking such a complicated and often emotional process and crafting a succinct and helpful guide. Yes! This is exactly one of the reasons I prefer commercial-free items/toys for my daughter. But, of course, you wrote it much more brilliantly than I ever could. I also have a problem making my child a walking advertisement for companies. Licensed characters are really just money-makers for the companies that created them. Yes, she may want a Winnie-the-Pooh lunch box, but all I can think is how that lunch box is really a not-so-disguised ad for Disney. I'd rather skip character items until she's old enough to understand the link between items of creativity (Winnie-the-Pooh books) and items of marketing (like the lunch box). It's political, too. As we watch (or participate) in the 99% movement, it's important to recognize that our wallets ARE our ballots in a culture that conflates the two. I use Target diapers. They are much cheaper than brand name diapers and, in my opinion, work a lot better, and they don't have any characters on them! One of the reasons I love cloth diapers. But I do use disposables overnight. I was delighted when I put an elmo diaper on my daughter and she got excited about the soccer ball that Elmo was kicking yelled out "ball!" not "elmo!". Love the peeing an the princesses thing...too funny! Brandy--beautifully, succinctly and realistically presented. Thank you! Love the article Brandy. Having raised three children in the backyard, creating gardens, pails of water for painting on the deck, holes in the ground for tunnels, forts in the trees...I'd say...fun is in the places that have been naturally created in our environment, as well as with the concrete practice of objects that build and enhance creativity and love of imagination. Great post. I appreciate the realism in accepting that 'commercial-free' may be an unattainable ideal in modern society. Still, you make a strong case for 'commercial-reduced' living. I guess I'm a little late to the game. When I think about media and my child, I think about limiting tv time, watching together, and only watching things that I've screened beforehand (or checked out on CommonSense.org. I don't let my son watch "regular" tv, commercials, news, etc. I don't leave Victoria's Secret catalogs lying around and we don't listen to popular radio because there is nothing wholesome on the radio these days. I never thought about the issues you raised here. I'm ashamed to admit that I live on the island of Sodor lol. If it's an engine with a face, we own it. You make a compelling argument that leaves me wondering, what now? We caved at the (hand-me-down) Princess bike. I mean really, what would you rather have your 4 y.o. daughter do? Learn to ride a bike or not learn because she doesn't want to ride a "boys" bike? i.e.--the blue one that we tried SO HARD to get her excited about. In the end, we chose exercise over cross-marketing. And we don't have commercial TV at our house, only a dusty DVD player. But at that age, esp. once they get into preschool & mix with other kids, they become fierce little Defenders of Gender and regulate themselves. The marketers have figured this out & manipulate gendered symbols accordingly. To truly be commercial-free is not an option anymore. Brandy, I love this! This is exactly how my sister and I grew up. 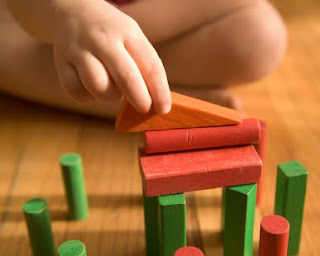 The true joy of childhood is figuring out how everything relates in the world, and what better way to discover that than through creativity and imagination rather than through toys that do things for you and have a connection to a commercial entity. Can't wait to read your next post. I love watching my kids play outside. They get quite creative about playing with leaves, rocks, bikes, strollers and acting out some trip we've recently made. I like your points about the ways toys advertise everything the toy does on its own, forgetting that kids need to use their own imaginations with toys! To be honest, my thinking on both the lunchpail and the bookbag (granted i'm not a parent YET, but I am going to school to become a childrens teacher, one of my professors lead me to CCFC) would be to buy a generic lunchpail/bookbag and help them decorate it! Glitter, sparkles, markers, stickers, felt, pipe cleaners, googly eyes, can all go on there! than it's something they made and can be proud of. I hate the branding of EVERYTHING and while we stay away when we buy toys, the plastic diapers we sometimes use, the underwear, the toothbrushes, backpacks, lunch pails. It's really hard!!! Thank you for your thoughtfully written post on this. I find it easier at this point to lean towards 0, almost never taking them to stores that have that stuff, and when I do never buying it. Because when I try for 0 I usually hit 1 or 2. I have a no-disney-princesses rule in my house. I am not against commercialized products to the extent that you are, but the reason I am vehemently anti-princess is that I really don't like the message inherent in Disney princesses. I have a young daughter (and son) and do I really want them to grow up thinking that the way to be "happy ever after" is to be beautiful and win the heart of prince charming? The whole thing is disgusting. Now if my daughter wanted to play with Thomas I would probably be okay with that. Commercialism encourages imitation, stifling creativity. It's not just that the toy zooms for you instead of you having to push it, but it's the messaging being so strong that kids apparently lock in with some sort of internal reward system when they imitate or become some brand character they see from a strong brand instead of creating their own pretend worlds to act in. Thank you Brandy King. Though I don't have children yet, I'm certain that when I'll be a parent I wouldn't want my children to be brained washed by all the candy and toys commercials that are EVERYWHERE these days (seriously, I went to the Dr and encountered commercials for kids snacks..). "Creativity now trumps integrity... in being considered the most important leadership quality." While this has nothing to do with commercialism, per se, this may be the saddest commentary I've read to date on the state of our society. I love LibraryChristi's comment. I too tell my kids that I refuse to pay money for them to become walking billboards. My older two (4 & 6) think that is hilarious. I made an interesting observation the other day. My older girls were playing together in their normal creative way, and then they started playing some Disney thing. As soon as my youngest tried to make her own game, my eldest (the rule-keeper) immediately scolded her "That's NOT how the movie goes. You have to do **(from the movie script)**." It really caught my attention to see this living example of the claim that commercial story lines restrict children's play. I think for Christmas this year the girls are going to get a big batch of play silks and a Kool-Aid dyeing party with Mommy! As I mentioned on another thread, I try to look at commercial influences as educational opportunities. We talk about what advertising is, how companies have to make you feel like you need something if they want to stay in business. We talk about some of the things they do to manipulate our feelings or make their product look better than it is. When I see a clever ad, I point it out and we talk about it. I want to keep my kids engaging with me, not just say "no" to them. Hopefully if I can get them thinking, they will make good choices when it's their turn to decide. Even if they do decide to buy something (which I certainly do at times), I want them to DECIDE it, not be blindly manipulated into it. I just couldn’t express how grateful and happy I am that I saw them during their tours.